Hello and welcome to a fresh new Monday! I'm here today as part of a hop that's spreading through Blogland called The Creative Blog Hop (TCBH). TCBH is the brain child of some wonderful enlightened blogger. Unfortunately, as TCBH has progressed, the originator's name has been dropped. If anyone knows who the originator is, please let me know, so I can give her/him credit. As near as I can figure from hopping backwards, this hop began among crochetists (crocheters?). Since then it has spread to include all kinds of artists: watercolor, paint, mixed media, and card, as well as writers, photographers, and all sorts of needlework artists. The idea is for us, as Bloggers, to get to know each other better and it is resembled after a simple game of "Tag, You're It." Each Blogger answers four questions about themselves and afterwards they "tag" three more Bloggers and so on and so on it goes. How fun is that?! The hop is only held on Mondays. I'd like you to meet the kind and supremely talented young woman who tagged me. Her name is Bibiana and her blog is Stamping With Bibiana. Bibiana is from Colombia, South America; she has also lived in Mexico and France and currently lives in northern California. 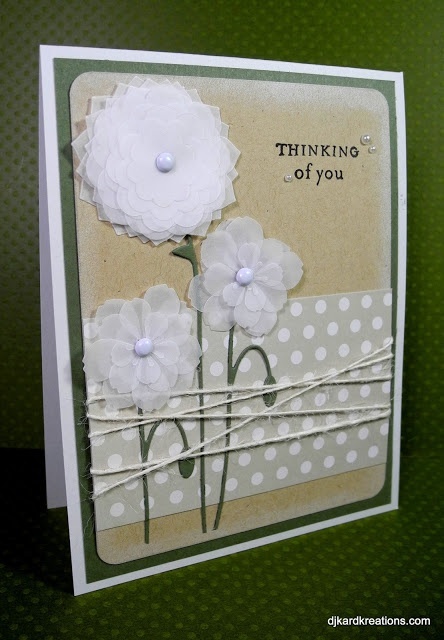 Bibiana has been making cards since 2008 and blogging since 2012. She is fluent in English, French, and Spanish. She is a designer, teacher, and writer for Memory Box, as well as for many other companies, websites, and challenges. She is an award-winner and an educator. She has a YouTube channel, and you can find her on every social media known to man. She is an instructor in card art, Copics, stenciling, and organization, and she also has loads of tips and tutorials on her blog. Bibiana is so energetic, intelligent, and professional that I could never replicate all that she does in this post, so please do bookmark her website where you can find tabs with more information about her talents, her bio, and her passion for card artistry. To say she brings a lot to our stamping community is a huge understatement! Bibi tagged me in her post here. Thank you very much, Bibiana! I consider it a huge thrill that you even know my blog exists, so it is a tremendous honor to be tagged by you to carry on this hop! Mwah! On the left, I'm in the garage in a 2006 photo. 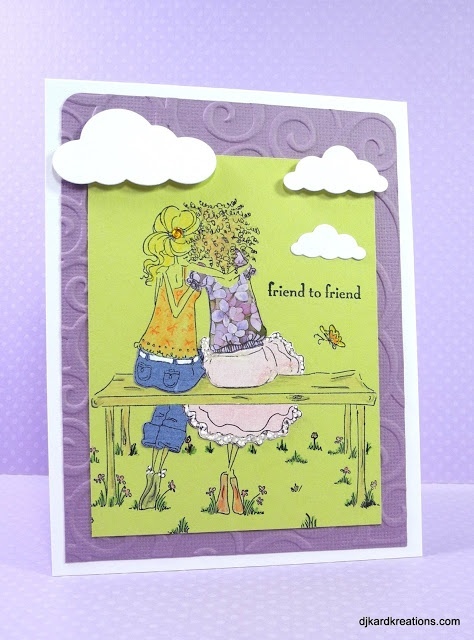 I started making cards there back in 2001 after attending a Stampin' Up workshop. On the right, it's six years later in 2012 and I'm comfortably crafting in my amazing little cottage Playhouse in the backyard. It is a well-deserved haven after making cards for eleven years in that dank, dirty, cold/hot garage, lit by a single overhead florescent light and the wee light that came in from a north-facing curtained window in the side door over by the garbage cans. For more information about the Playhouse, you can click on the tab on my top home bar. Here's a photo to prove that the Playhouse is not always as neat as a pin! I'm working on trying to purge the Playhouse, get my clear stamps organized, cut my 12 x 12 patterned papers to fit in my cabinet drawers, catch up on the cards and letters I owe, write a book about how the universe would be a better place if everyone listened to me and just did their jobs with gratitude and grace, and finish up the last half of the Online Watercolor Class that I started back ... when was that? Oh, and I'm constantly working on keeping Hammy, the hamster in my head, from being bored and leaving home, and the same goes for the Mister, who is often very neglected by this absorbing hobby. I'm extremely fortunate that he is supportive of my hobby and he subscribes to the wonderfully old-fashioned and intelligent notion that whatever makes me happy, makes him happy! But, like all Bloggers, I struggle to find balance. Especially if I get an inner ear infection or my dicey left knee starts acting up. If we are talking about card art as a genre, specifically clean and simple (CAS) cards, then honestly, I don't think my work differs from other card artists all that much. 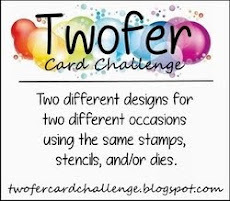 In fact, more often than not my cards are designed solely as a result of stealing inspiration I have obtained from other CAS card artists on their blogs, or through Pinterest, Splitcoast Stampers, Flickr, and the many wonderful and fun card challenge blogs available to us. I realized some time back that my purchases were accumulating in the Playhouse at a faster rate than I was using them and quite often what I purchased was being put away and forgotten. So I coined NBUS (never-before-used schtuff) and started numbering each time I posted NBUS on a card. It was a personal challenge to myself and it has definitely helped me take a look at my schtuff and not automatically reach for the tried and true images I've used before. It has been very fun to see the movement and the aaackronym picked up and embraced by other Bloggers. but I can make serious and beautiful cards, too, if you don't mind my saying. My Pinterest cardboard is here. Now if we are talking about blogging as a genre, since this hop is all about featuring Bloggers, I will say that my blog differs from some other card hobby blogs in that I have my own style of, erm, creative and appalling writing. It's kinda hard to describe, you just have to be a regular reader and then decide if you like my plays on words and playing with words. You can read more about it on the tab on my home bar called "Away With Words." I think my blog is one of those things that people have a strong reaction to: they ether like it a lot or they don't like it tall. And I'm kewl with that. I enjoy being silly as often as possible on my blog and in real life. Like so many of you, I have serious health issues, so I want my blog to be a place of lightness and joy for me and for you. A place to share my cards and my humor with my friends. Persimmon: "Well, now that you aren't doing that job any longer, what are you going to do?" Mango: "Oh, gosh. I don't know. [pause] But I've been thinking ..."
"Oh, God, please don't tell me you're going to start writing one of those old-lady blogs!!" And there you have it. For some reason blogs have been given a bad name and we are all swept up in the same dustbin. It's unfortunate because it's such a positive hobby to have and many young woman are spectacular card artists and bloggers. As for retired "old ladies," it can be difficult to leave one's lifelong profession or have your children grow up and leave home; we are often left out to sea with ourselves. Even if we live in cities, the days of women's groups and hobby groups getting together is not as common as it used to be. So if we can share our hobby and join an online community of like-minded hobbyists, I think the resulting friendships, validation, inspiration, and brain activity are all positive aspects of blogging that should be celebrated, not made fun of! I need to make another aside real quick. Most card blog hobbyists I know don't just engage in this hobby and blogging for frivolous and self-centered reasons. 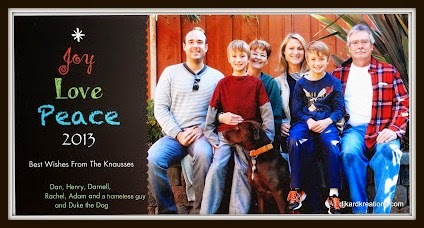 We make cards for specific charities and/or for people who need to know they are being thought of or cared about. It's a simple act of kindness that can have profound results. When I first started blogging in late 2011, I just flipped through blogs, looking for ideas, as I used to flip through magazines. But very soon I realized that I felt a human connection with the people behind these sites, a connection that I didn't feel from flipping through magazines, so I took the time to get to know the individual bloggers. In that way, conversations started and friendships quickly developed. As lovely readers started reacting positively to my conversational format, I became more comfortable being myself and putting myself out there both in terms of my cards and my writing. I had no idea where my blog would take me when I first started and it has evolved over time just like my cards. In fact, I often shake my head in wonder that I had the guts and (somehow) the ability to even start a blog! But I'm so glad I did! It's been wonderfully satisfying to receive so much positive feedback and to hear from so many people that they are uplifted by my posts, look forward to them, and always leave with a smile. In turn, that keeps me smiling and blogging! It's also been extremely satisfying and complimentary to watch other Bloggers identicate my format and style of blogging and my way of introducing new followers. I especially love traveling through Blogland and seeing more and more supportive commenting going on. If you are in a hurry and in a serious search for card inspiration, I think you can find that on my blog. You can easily spot my card, hopefully leave a quick comment, and then zip away. But if you are looking for a blog that is a comfy place to sit and visit for a while, take off your shoes, pour a beverage, and possible have a giggle, I'm that blog. The Playhouse door is always open. It gives me great pleasure. Pure and simple. Even in today's age of instant technology, who among us doesn't like to shift through the bills and unsolicited adverts in the mailbox and find a card? 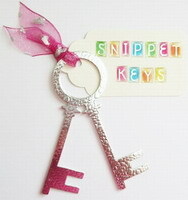 To receive one that is handmade makes a person feel very special. As a card artist, it makes me feel very special to send such a card, knowing it will bring a smile to the face of the recipient. Sometimes my card is born from a need for a specific card for a specific person. Then I'll check challenges. Sometimes I will see a challenge happening that I simply "must" play in and I'll start with that. Often I will start with finding a sketch that appeals to me. Next I will look at theme challenges. And finally, I will look at color challenges. even with all the inspiration help, there are times when I can't get my focus button to work. My thoughts are scattered all over the place. That's when I call for help from the hamster I mentioned above. He's very brilliant with ideas, but more importantly, he has the ability to slap some sense into me and bring my thoughts back to ground where I can complete the design and make my card. Then I write my post and link to the challenges. After that, my spare time is spent visiting and commenting on other blogs. I firmly believe in the Golden Rule of Blogging. If I want other Bloggers to visit me, follow me, subscribe to my blog, and leave me wonderfully encouraging and engaging comments, it's only right if I do the same for them at their blogs. I'd like to say thank you to all the other Bloggers who share this philosophy, as well as all the faithful readers who do not blog. I would not have been able to keep up my blog with over 700 posts if it weren't for the support, love, and encouragement from all of you in my little corner of Blogland. Bless you! It is my absolute pleasure to introduce you to the three fantastic bloggers that I have tagged. These wonderful artists will continue the hop next Monday, August 11th. Please make a note to return to their blogs and follow the hop next week! Hi, my name is Lisa Elton. I'm a former floral designer/instructor, current stay-at-home wife. My husband and I are high school sweethearts who are blessed with a very handsome son, his beautiful wife and soon-to-be first-time grandparents to their baby girl who's due in December! In my free time, I enjoy long walks with my ridiculously adorable mini-schnauzer Max and adventurous photo-taking journeys with my husband. I'm hopelessly addicted to polka dots, pretty papers, and all things related to card making! My blogging journey brings me joy and I hope to inspire others with my designs. Many thanks to you, Darnell, for tagging me. Your creative cards and witty way with words bring a smile to my face every time I visit your blog. I'm honored and so very humbled that you thought to include me in this hop! Lisa consistently inspires me with her designs and her joyful and enthusiastic passion for our hobby. We are all fortunate that Lisa is a member of several design teams which gives us many opportunities to read her posts and see her beautiful card art! Hello! My name is Alexandra Sirugue Macleod. Born and raised in Paris, I'm currently living in the Windy City with my husband Mark and our youngest Gallianne Lily. We have two older children, Gabrielle Rose (almost 21) and Keelan Ange (19). Both are studying at McGill's in Montréal. I have a profound love for arts and crafts in general, but my favorite medium is paper. 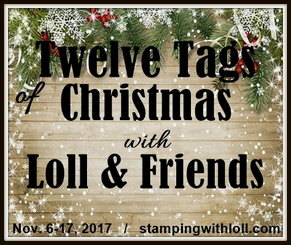 I consider myself as much a scrapbooker as a cardmaker although when I think of it, this whole adventure did start with a love for stamps so I'm probably a stamper at heart! 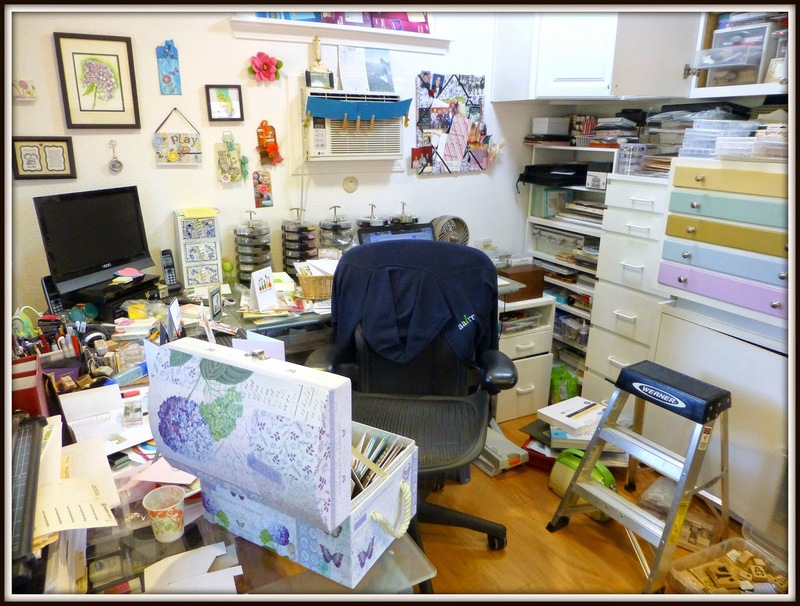 I started a blog called art scrap & more back in May 2006. I needed to share my passion with fellow scrapbookers and cardmakers and was craving for a creative platform with no bounderies. My blog is a form of creative journal, sometimes I share a card, a page, a recipe or a tutorial and sometimes it'll be more personal. It has allowed me to meet wonderful friends from all over the world and given me job opportunities through various design teams and publications. I'm a Project Lifer and have been keeping two types of weekly albums. I think that alone tells you I'm a little obsessed with time passing. I try to capture the essence of our daily life so our children and hopefully children's children will have an idea of what it was like to live in Chicago in a bilingual family of five. Not only is Alexandra incredibly talented in card artistry and techniques, scrapbooking, journeling, and photography, she is one of the most generous bloggers I know when it comes to sharing how she makes her beautiful works of art! I always learn new tricks along with being inspired! First of all, I'm delighted and very honoured that the lovely Darnell asked me to join in The Creative Blog Hop - all the more when I looked back and saw so many talented people joining in, sharing their amazing work and stories about how they create. As for me, I don't get overly serious about my art and only craft because it is very relaxing and enjoyable. 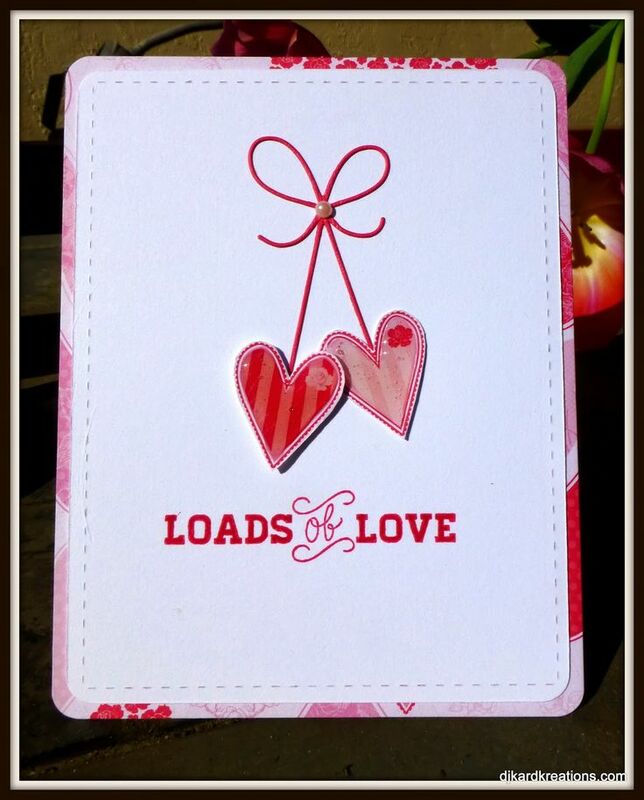 My main love is card making and I got into that whilst wheelchair bound after an accident back in the early 1990s. In those days everything for crafting was bought either in a shop you visited or via 'paper' mail order catalogues - how things have changed with the arrival of online shopping! In addition to my blog, for the last two and a half years I've been looking after The Pixie's Snippets Playground, a weekly fun challenge where all you have to do is to use up some snippets/scraps and just have fun. And that's what I think crafting is all about - fun! The Pixie's Snippets Playground was one of the first challenges I joined when I started blogging and Di immediately became a friend and even kindly helped me with a technical issue with my blog layout. She is not only an extremely talented and self-effacing card artist, she is a true and steadfast friend who's a whole lotta fun! I hope you have enjoyed getting to know me better, even though it was a three-beverage visit! I would love it if you visited the four bloggers spotlighted in this post today! Also, please remember to return to my taggee's blogs next Monday the 11th to see how they answered the questions and to become better friends with them. Afterwards, it would be great if we all continue to visit the blogs that are tagged down the line! It's an easy and awesome way to make bloggie friends and be filled with inspiration! Because several of us have already been asked more than once to participate in The Creative Blog Hop, I have created this button, with the help of my friend Nikki, which I am placing here and at the top of my salad bar. This button will identify me as a participant which will save my fellow bloggers the trouble of emailing and asking if they can tag me. Again, thank you so much for this wonderful honor, Bibiana, and thank you to all of you for making it to the end of this megapost!! I'm sure we all need a lie down! 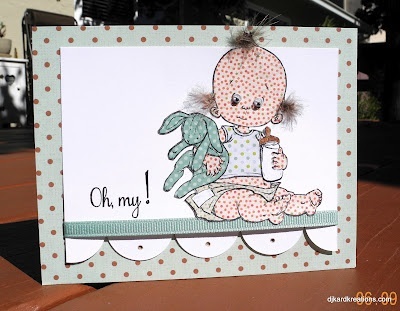 Aww love this post Darnell and great to read up about you ;) as always gorgeous cards and your playhouse is just amazing!!!!! A marathon post indeed .... but fascinating, Darnell and thank you so much for sharing your talent (and thought processes) for those of us without an inner hamster!! Keep on doing what you do! I loved reading all about you today Darnell. Thank you so much for sharing and I agree with Annie - you are one of life treasures. Always enjoy a read here, Darnell. Your sense of humor is so familiar that sometimes its scary. Darnell, I did finish my coffee halfway through but couldn't get up to get another as I had to read the rest! You've echoed so many of my favourite things about blogging - it's true, there's a personal connection reading others' blogs that just doesn't happen in other formats. I've made some amazing friends this way - and even my husband has come to know who I'm talking about when I tell him what's up with my bloggy pals :) I love that you're comfortable being your crazy self here, because I'm crazy too :) NIce to have a kindred spirit!! Wow Darnell - ain't no way I can follow that! A fascinating read as always (thank you for the very sweet words) - and I can't believe there are two camps. We all love your blog honey! Problem is, I daren't have a drink near me lest the screen gets a little shower. 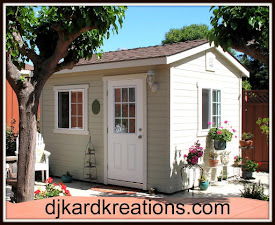 Were you teleported between your garage and your Playhouse in those photos BTW? Off to check out your other ladies now! Darnell, you are a superb crafter and word smith, and your light hearted view to life is one to admire. I am very envious of your little cottage, it looks like a place where you could easily loose yourself in crafting all day! Keep up the great work, and thanks for becoming my newest follower. Beautifully written Darnell and what a pleasure to read! Though we all have similar outcomes in the cards we make, it's interesting to me to learn of the processes and inspirations of my fellow crafters. You never fail to bring a smile to my face and I'm grateful to have met you through this blogging community of ours. I'm honored and humbled to have been tagged by someone as special as you ~HUGS!!! Hi Darnell . . . loving this long newsy blog post. Very interesting indeed. Well I'm one of those bloggers who like to sit and read everything you write ... I LOVE your sense of humour and your up beat way ... plus you are very talented and definitely inspire me. Reading your post I totally echo a lot of your comments ... about blogging ... For me it was a life saver in so many ways at a time I felt so lost and broken ... It's given me confidence, friendship, creativity I didn't know I had and so much more ... and like you I am amazed that I even found my way around the computer to set up a blog ... Thanks for the lovely post! Thanks for sharing so much about you, your blog, your crafting and other bloggers, Darnell. I love your cards and your writing. You perfectly describe how I feel about blogging too, and I'm so happy I found you through blogging! I love that I'm able to contribute my cards to causes that bring smiles to so many, and the rewards are better than the hobby itself - even if I don't hear personally from those recipients! You keep me smiling every time I visit here, and life truly is too short to not smile every day, so keep up the wonderful job you're doing of inspiring us all! MWAH!! This is such an inspirational and wonderful post! Loved reading about you and how things are from another persons view. I'd have to say, your work is always lovely and your posts are fun and certainly, can make one smile! ;) Thanks for sharing! Thanks, Darnell for introducing us to this concept... what a great one it is! You've surely described to-a-tee how many of us feels about blogging. I am so happy to have found so many like-minded, creative friends along the way... you my friend have been a most generous hand-holding new friend. Hi Darnell, it was so nice getting to know you a little bit more. Thank you so much for sharing your wonderful and engaging spirit (and cards) with us! Apart from being an amazing and generous artist, You most definitely have a gift for writing Darnell! great great post, what else I can say UMM!!! so many things. 1st thanks for the button I will use it, thanks for the wonderful description of me and what i do! I love visiting and reading , your style is awesome and so original I am so glad to have found you! wonderful description and clarification of the 2 hops going on. good to know more about you and your family and very useful way to describe how you create...well I have to stop, otherwise this comment will become a whole story book...in a few words awesome post!!! This was a lovely read, Darnell, thank you so much for sharing! Loved to read about you :) you are such an inspiration for all of us ! Love the concept of this hop. Nice reading! Sweet hop! Wonderful idea and most definitely I will be visiting these bloggers! I find that it takes an effort to build meaningful relationships and blogging takes time too. You sort of get what you give in most relationships and giving to this fun community is FULL of delightful "perks". Always love reading about other crafters. Darnell, I look forward to your posts popping up in my email. A nice time of day to sit back and enjoy your musings and makings. I stopped my personal blog a little over two years ago. Mayhaps I will reopen that venue soon when my teens are absent more often than present. You are right that a gal needs a place to belong and chat. Thanks for the many smiles and the often out loud giggles. Currently, I'm on a short break from my routine life and I'm spending time with my parents and siblings, just manage to sneak in to my blogger sometimes to see what my crafter friends are upto. I couldn't resist reading your complete post and I'm so glad I did. I agree with you that blogging and crafting are such positive hobbies to have. So lucky to have made some lovely friends here. You are the sweetest person I have come across and undoubtedly one of the most talented one, in more than one ways. You already know how much I admire you, don't you Darnell. Just keep rocking always! I just loved reading all about you Darnell! Much of it I already knew, but it was fun reading again and learning more! 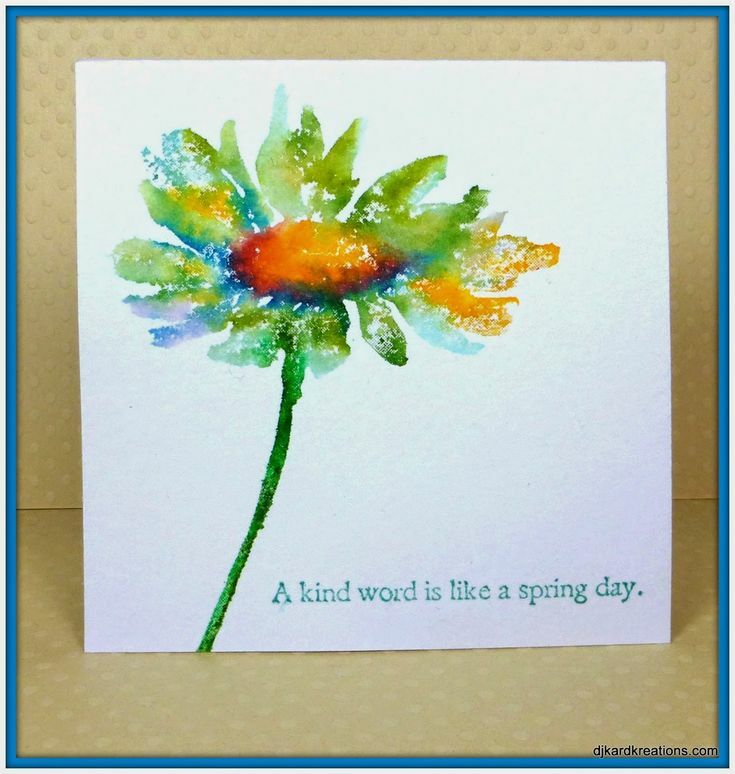 I really enjoy your blog, the cards and your wonderful way or expressing yourself through words! You're fun! I was tagged in the other one of these blog thingies, and now I feel like mine will be so lame compared to yours! haha! Good grief, think I need another holiday now, well it couldn't happen to a nicer person, carry on the good work. I had alot of fun reading your post today! It was interesting to learn more about you and your philosophy on blogging and cards. I think many of us feel the same way! It was so nice reading about you today!!! You are truly a gem!!! Beautifully written, Darnell! I am so glad I found you! We are all so lucky you started a blog! Darnell...it is always fun to read about what makes a crafter crafty and you are so amazing at this. What a fun hop too. See you soon. Well, what a lovely read that was and enjoyed every minute of it!! So funny to see where you started in the garage to where you are today, snug as a bug in your Playhouse. I'm hoping I will have my own Playhouse one day..hmmmm. I've had my blog for nearly a year now and love everything about it, especially meeting people who love to craft and love life in general. Its been a pleasure getting to know you and I always know if I need a laugh and a pick-me-up, just to head over to the Playhouse!! Congrats on your "tagging" and the post. I thoroughly enjoyed this with my morning cup of coffee! Great fluffy post Mrs. I need a lay down now after reading all that! 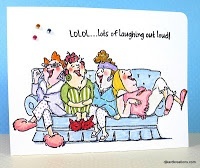 What a great post, I loved it and I agree with everything you said :-) I have met the most wonderful people and even if they are taking a rest on card making were still friends and write to each other. It dosent matter if we have never met in person I still feel that great friendship and that's what its all about right? Great post, as always, Darnell & how totally you to have a badge made when you saw the need! 3 bloggers I know, but was fun to read their bios & to learn a bit more about you, who I consider one of my friends. I've visited Bibiana only now & then, so fun to read about her. You are totally unique in my blogland & I thank you for always brightening my day as well as giving me inspiration! What a great post, so full of interesting information and humor. Absolutely treasured this opportunity to know you better and to understand the passion behind what you do!! You definitely walk the walk!! You are a tremendous force for good and I admire you!! Congratulations on The Creative Blig Hop nomination. I loved reading your story. You are a gem in the crafting world and it is an honor to call you a crafty friend. Have a great day Darnell! Wowza, Darnell! Keep it up! You are loved! Wow! Am I glad I stopped by and got to read all this! Love your thoughts and descriptions - how nice to read more about you! You definitely have a pull up a chair and a beverage kind of blog. Love what you said here! Hugz! Wonderful post, Darnell! So nice to learn more about our fellow crafters. Thanks for stopping by and following my blog. I am now a follower of yours also! I'm in awe of YOU dear friend! Congrats on this tag! Truly an honor that you are so deserving of! Amazing post - the best ever! The time just flew as I read today's post. Every time I visit your blog is such a joy! Love your posts which most often also provide a giggle. I am known to share bits with hubby too! You are such a blessing to the blogging community! 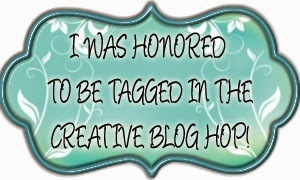 Well, I am so embarrassed to be posting so late, so please forgive me...Firstly, CONGRATS on your induction to The Creative Blog Hop, Darnell! No one is more deserving, especially with all the time and love you put into your posts! Thank you for ALWAYS sharing yourself with us, and ALWAYS making us smile! The universe would definitely be a better place if everyone listened to you, my friend! Thanks so much for a really fabulous post!!! What a fabulous post, Darnell! It's always a joy to read your posts and see your cards. 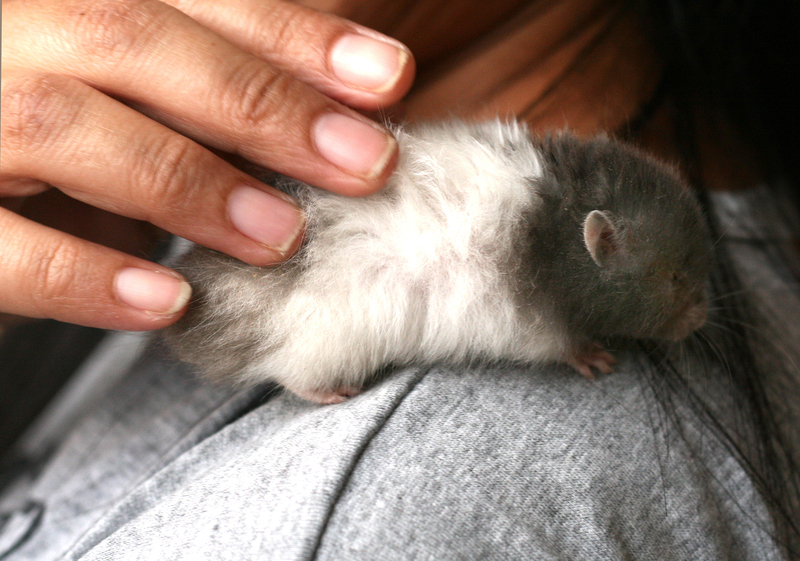 It's no wonder you were chosen for this hop, you (and Hammy) have a special place in blogland. Mwah! I believe the award for "consistently commenting late' has my name engraved on it. Catching up, with this post: pure awesome! 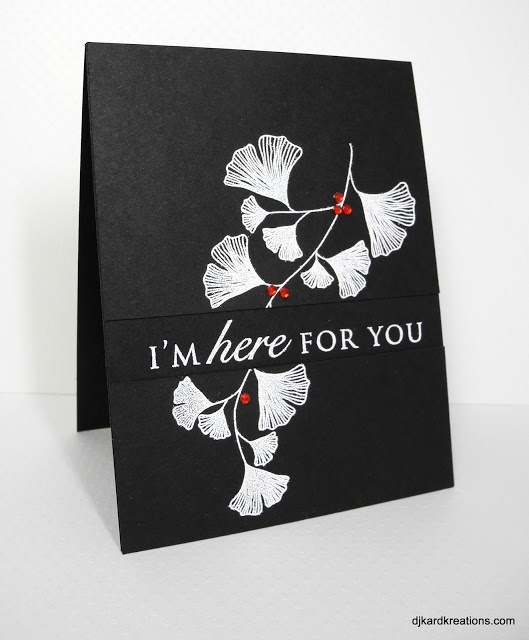 Your commitment to cards, or rather 'to us', is genuine and heart-warming. Indeed, your post evokes the gamut of emotions: your signature hilarity had me laughing aloud; your expression of your passion had my eyes brimming with tears. Through it all, mega watt smile planted smack dab on my face. You're such a gift, Darnell, to your family, this community and especially to me! You are a bright light in my life!! Very cool post! What a wonderful way to meet new friends. I love reading about your journey and also introducing me to some new bloggers (I've actually met Di when she and Len were here on vacation a few years ago). I've been tagged for a future time. So glad you asked Nikki to make the button. How cool is that!? !